Is there a way to add a site to the extension side bar? 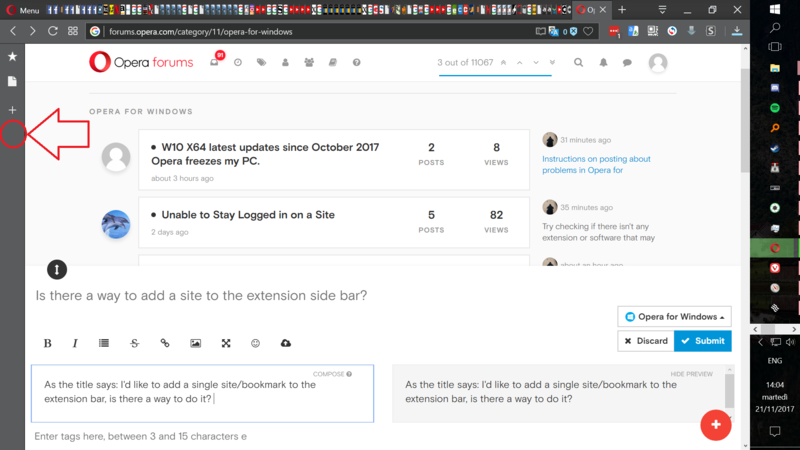 As the title says: I'd like to add a single site/bookmark to the extension bar, is there a way to do it? Nope. Unless, maybe, by using an extension. @leocg It's a pity (the pre-Chrome Opera allowed you to do it). After a google search it seems that such extension doesn't exist. @leocg what extension would that be? @acidinmyfridge I don't know any, sorry.